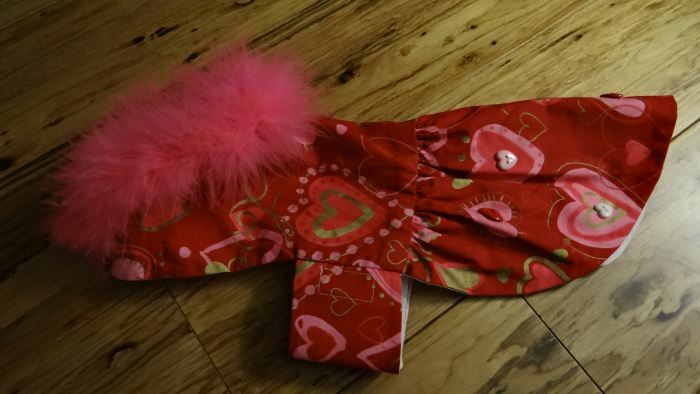 This Red And Pink Valentines Day Dog Dress in Small Size will let your pup step out in style when she goes for her walk to the dog park. 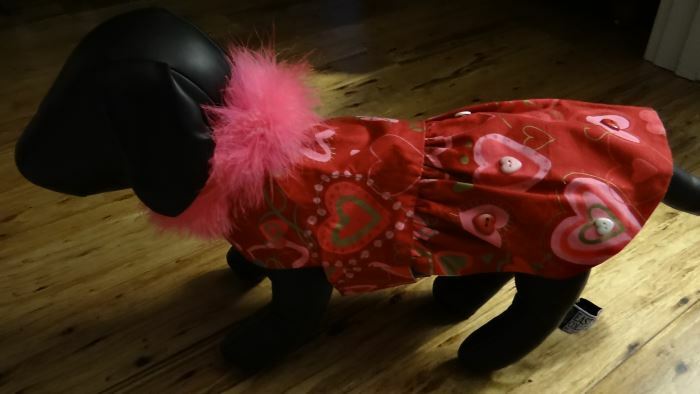 Bark Avenue Dog Boutique has designed this one of a kind original Valentines Day dress for a little girl puppy. Being an original design you will never see another dress like this one. 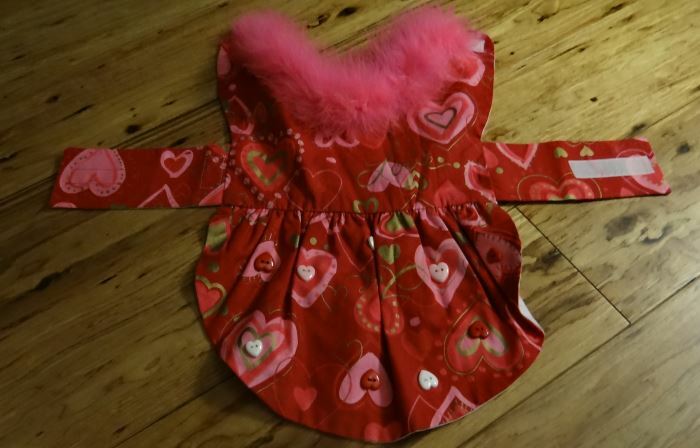 The Red And Pink Valentines Day Dog Dress is made from a red and pink cotton fabric with multiple sizes of hearts, “Love” and highlights of gold. 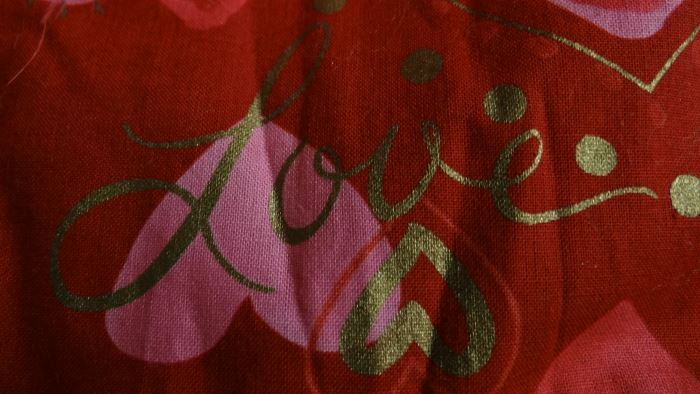 This dress is designed to have a skirt which is encrusted with 9 different colored and sizes of heart shaped buttons. 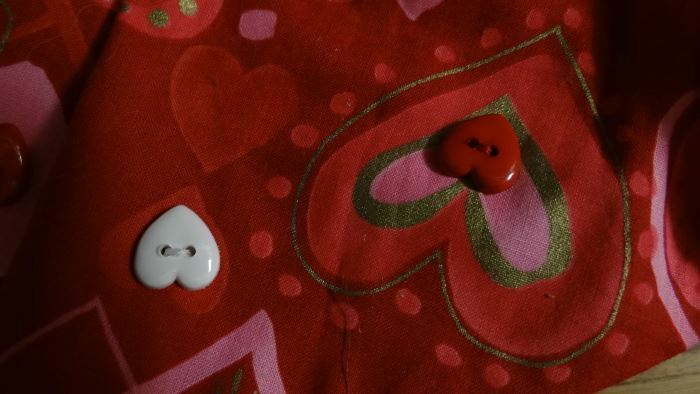 Each button is centered in the middle of the hearts which are printed on the fabric. 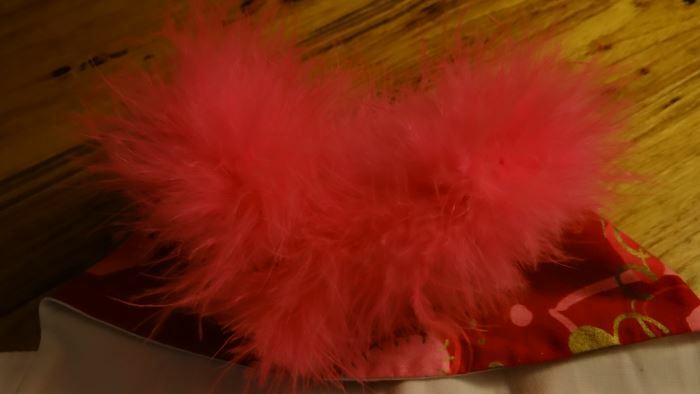 Around the neck of the dress is a hot pink feather boa. 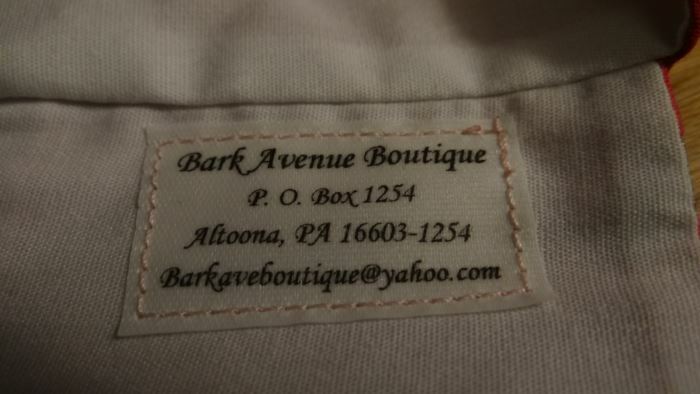 The dress is fully lined with a white cotton fabric. 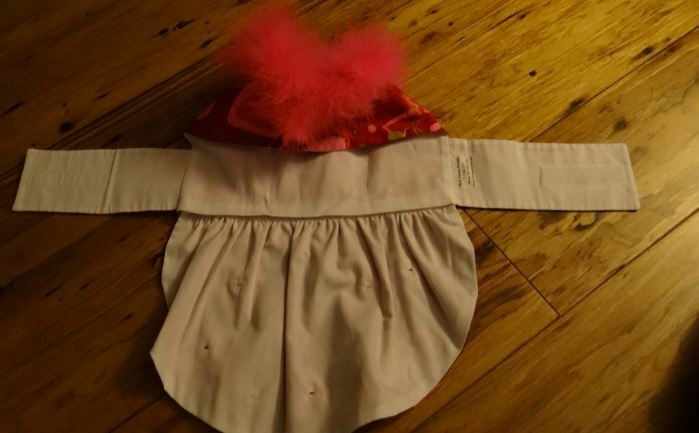 The measurements of the dress are 12” around the neck, 13” from the back of the neck to the hemline and 18” around the tummy. Machine. Wash. And dry flat. NOTE: Do not place in the dryer. 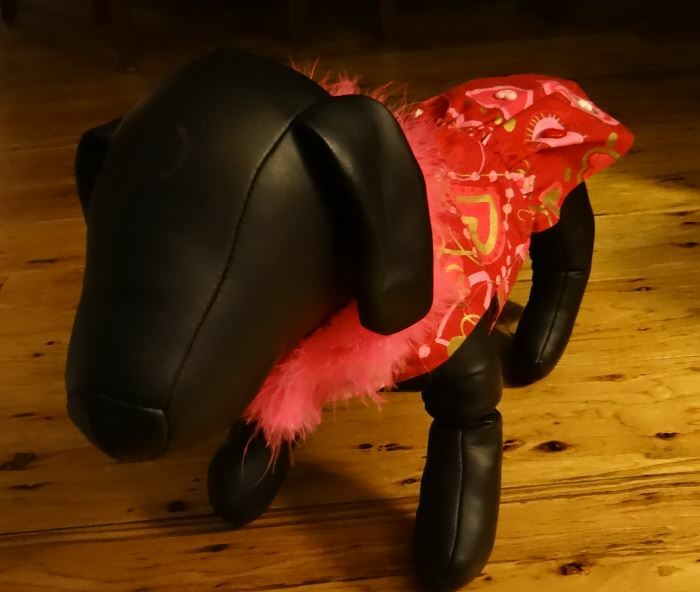 It will ruin the boa embellishment around the neck.